The band split up somewhere in the 80's, and years of silence came. Our manager, also called O.B.E.Z., organized irregular meetings, which mostly did not result in anything but drinking beer and 'epic' stories. But then, around oktober 2016, something strange happened. O.B.E.Z. received a phone-call from a recording engineer who had cleaned up his attic and had found an obscure tape, called Shith. 'Can i ditch the tape, or do you still want it', he asked. 'Let me check with the guys', O.B.E.Z. replied. So a meeting was held and that meeting resulted in a plan. A plan? Yes, a plan. The idea was that we wanted to release the other 3 songs from the original tape-recordings on a 7 inch piece of vinyl. 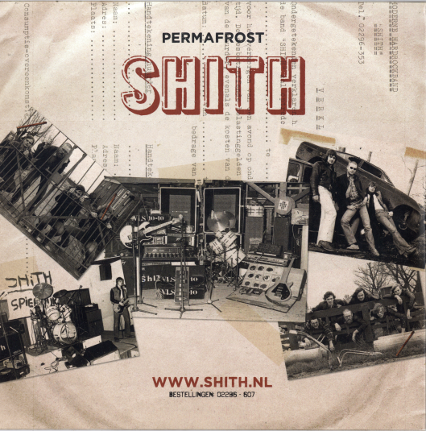 Things became serious, monthly meetings, talks on re-mixing the tape in a modern studio, looking for a guitar player, rehearsing, designing the sleeve and even plans to do a live performance, to release 'Permafrost'. Yeah, we even came up with a proper name. So the 19 th august 2017, the single was officially released. A 33 rpm piece of thick vinyl, with a good sound, packed in a very nice 'old style' sleeve. The single has 5 tracks on two sides. 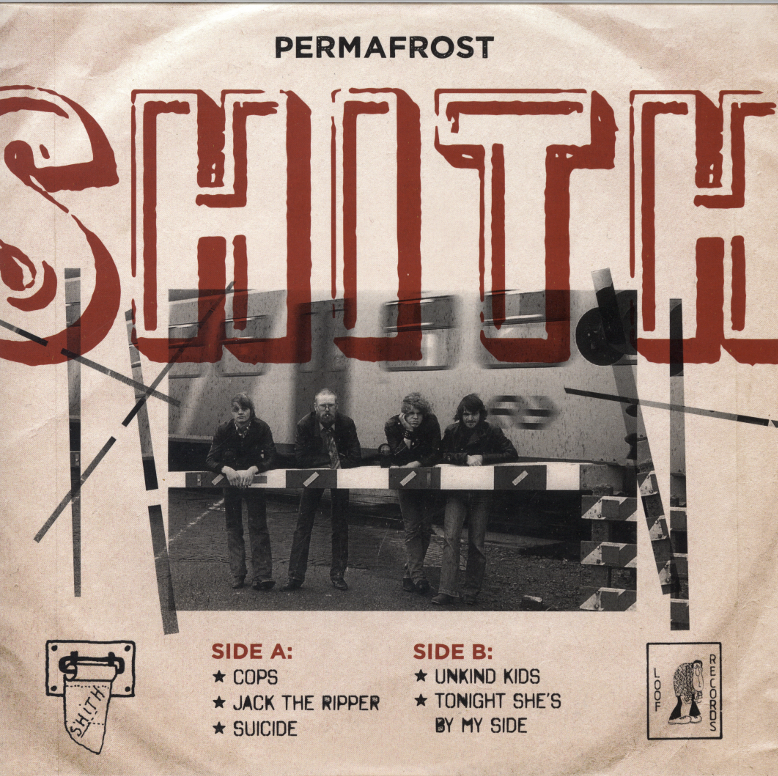 These are the '1980 sound' recordings, played by the 3 original members of Shith.